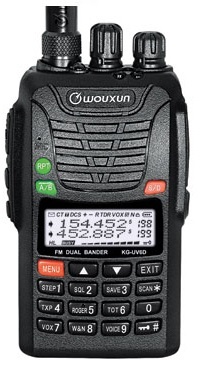 Given my perception of other similarities between the Wouxun and the Baofeng radios, I'm going to assume that they are quite similar in their DTMF capabilities. I am reporting this information from examining my Baofeng UV-5RE+ and from conversation with a friend that has a UV-5R. These radios have a limited DMTF string storage capability. This takes the form of something called Automatic Number Identification (ANI) and something called a Signal Code (15 of these are available). Each of these can store no more then 5 DTMF digits, and while numeric digits are most common, the programming software allows entry of 0..9, A..D, *, & #. None of these can be programmed from the HT's keypad (i.e., required computer with configuration software), but the control of them can be selected from the HT's keypad driven menu. My radio came pre-programmed with numeric only digits in all of these memories. The ANI can be configured to be sent on PPT-down, PTT-release, both, or turned off. I have not searched deep enough to determine when the Signal Code is transmitted, but I suspect that it is at the same time as the ANI. Both of these features seem primarily oriented to use of the HT in a business/commercial application and are intended to either identify the individual radio to the dispatcher and perhaps (in the case of signal codes as a type of selective transmission squelch) to subdivide the radio pool into talk groups. It takes the following 26 keypresses to change the settings on when the ANI and Signal Code are sent. This is not something a user will do on the fly. He will either have ANI always on, or ANI always off. So, this function is only useful maybe at special events where people will put up with the tones. Select Signal Code to send. We are still not sure when these tones are sent. Still waiting for an update. When setting radio to send ANI, I hear only the ANI tones, never any Signal Code tones. Nor have I not found any explanation of the signal code feature other a brief statement that it is only for "calling certain radios" and "not ham related". 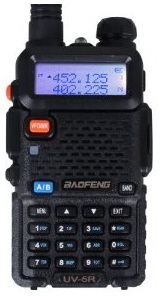 The Wauxun and Baofeng radios have the ABCD DTMF keys, just not labeled. They are horizontal across the top of the keypad instead of vertical down the right side. Please see The (Chinese) Radio Documentation Project by Lidberg and Unroe and this PDF. In that guide, the one-page chapter 7 "DTMF" adequately covers the manual entry of DTMF tones for transmission. ANI and Signal (Group) Codes are discussed in chapter 12 "Automatic Number Identification". Here is some info on Land Mobile, LMR microphones. One has some DTMF letter keys, but not enough. Some have only the numeric & * & #, but no evidence of the letter keys; although it suppose it is possible that they are 'available' as hidden keys like the Chinese radios. Here are some eBay listings. and another, and another. Anyway, while this is evidence to support the proposition of limited LMR use of full DTMF, it is neither an exhaustive study nor an evaluation of how wide-spread the lack of full DTMF support is in the LMR world. My LMR source (Milt Engle N3LTQ) further suggests: "DTMF is an option on most LMR equipment. The ability to generate tones 'on the fly' is limited since most systems would restrict the ability of the individual user to send tone sequences other than those pre-defined by the system owner. The use of telephone interconnect is limited in LMR and would only require the use of the standard 12 key configuration. Very few LMR applications would want or need anything beyond the standard 12 key configuration."